In early May, we went to Thanksgiving Point for their annual Baby Animal Birthday Party. Ava, our animal loving child, thought it was so fun. 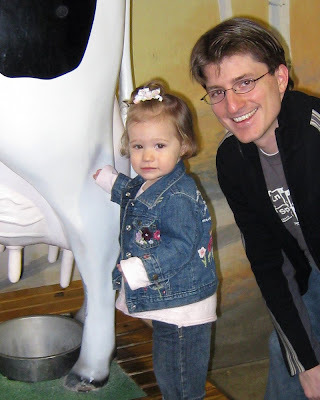 Before going out to see the animals, Larry and Ava toured the dairy display inside the barn. Ava, who can moo like a pro, loved seeing the cow up close. 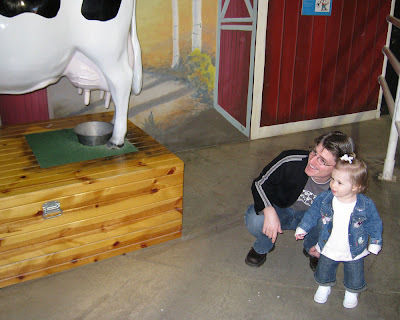 Here she is getting an education of where her whole milk comes from. As you can see, this discovery made her a little queasy. 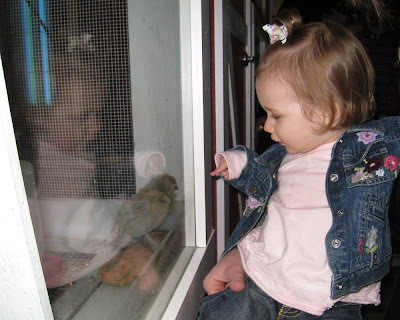 Ava was also quite enthralled with the baby chicks. Next we went outside to see the barnyard animals. Here Ava and her cousin Seth are visiting with a baby goat. 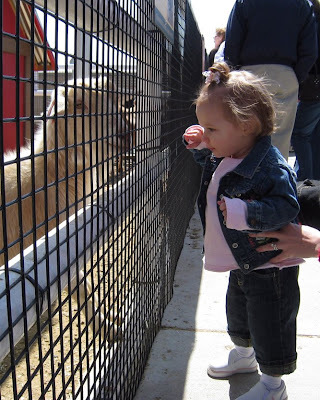 Then Ava decided to try to get a little more up close and personal with the goat (luckily there was a fence). Krista was horrified by the thought of the goat trying to munch on Ava's fingers. One of Ava's favorite animals was the chicken. Although she kept referring to it as a duck (as she does with most anything that has a beak). 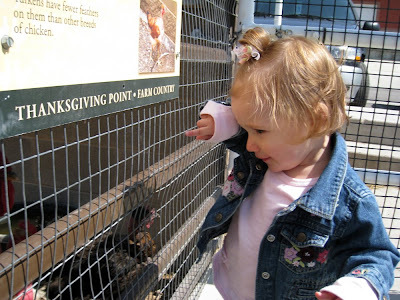 She was intrigued by the chicken's bright feathers. 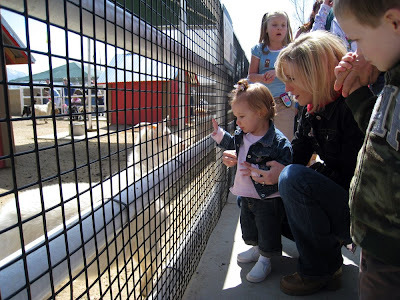 After awhile, however, Ava lost interest in the animals and just wanted to run wild (taking her cue from the animals). Sadly, she had to be confined to her stroller. 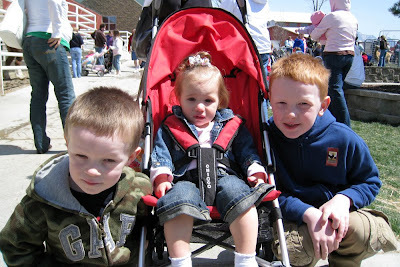 As you can see in this picture with her cousins Seth and Lucas, she was not very happy about it. All in all, it was a fun day at the barnyard. Looks like fun...I think it's cute how they learn to like animals and their sounds!! Klous is the same way!! Ava is adorable as ever...and we should go to the park or something soon!! Oh what fun! The pictures are great. Ava looks so cute!